This entry was posted in October 1986 and tagged Stars of track and field, Unexpected interest in national events by Ian Jones. Bookmark the permalink. Norwich second! Oxford actually in the top tier! 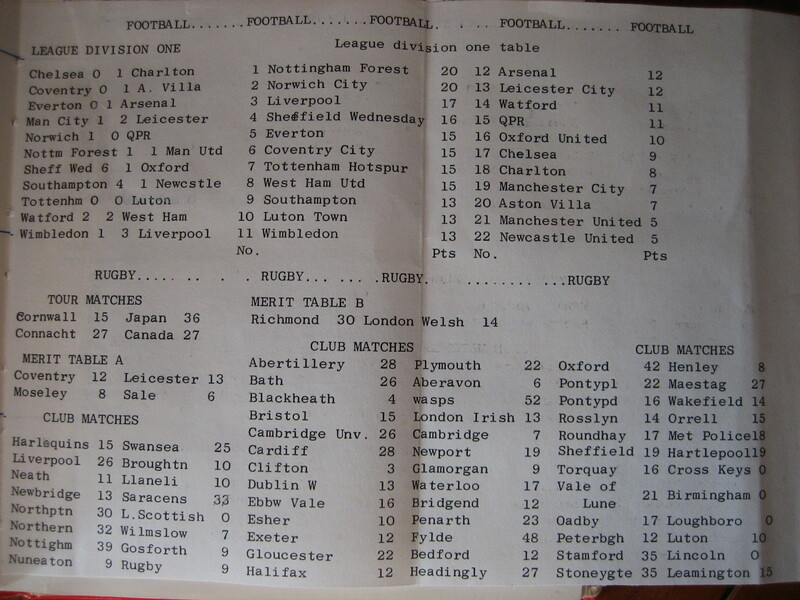 And Luton Tahn – 13! Top half of the First Division!.